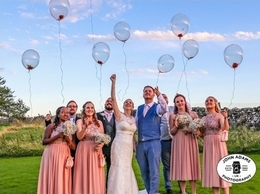 John Adams is an experienced wedding photographer covering Milton Keynes, Northamptonshire, and Bedfordshire. Equine, canine, feline, serpentine, you name the adjective and I''ll take the picture. Cinematic videography for Asian weddings, events, parties and more. Complement your fine, luxury wedding with professional videography. Marble Videos produce in HD.